How can I help my child deal with bullies and survive independently in school? Children with Asperger’s Syndrome are often the subject of bullying in the school setting. Some experts believe that the percentage of bullying among children on the Autism spectrum is near one hundred percent. If asked, many parents will tell you that bullying is a major concern on a daily basis, which validates the numbers and percentages. Have you ever been bullied? Imagine the discomfort it must cause a child who already struggles with anxiety and possibly, depression. The struggles brought on by bullying can easily lead to thoughts of suicide. It truly is a vicious cycle. As parents, it can be difficult to know the extent of discomfort the children are enduring. It can also be difficult to understand the full scope of emotional scarring and trauma. As the child’s main source of support, parents of children with Asperger’s Syndrome really need to be on top of their game. Here are some ideas that may help you. Keep the lines of communication open with your child. Make it a point to talk about everyday life. Some of the best conversations happen while in the car. In this setting the child is not pressured by eye contact and is able to relax a bit. Not to mention that there is no way to escape! Make a point to stay connected with your child’s school administration. An occasional, friendly email to your child’s teacher, therapist, or special education teacher can create an opening for you later when you need intervention. If your child seems especially bothered by talking to you, perhaps talking to someone a little more impersonal will help. A school counselor or a private therapist can listen without the emotional charge of parenting. Rest assured that a professional counselor will act in the face of true danger. Many schools now have an Anti-bullying policy in effect. While these policies will not eliminate all bullying, they do send a positive message, both within the school population as well as the community as a whole. Your child must know his school’s policy on bullying situations, including what to do if he is a victim. If there is no such policy at your child’s school, perhaps you can encourage the school to develop an anti-bullying policy. I am currently writing more strategies to help children with Asperger’s when they’re being bullied, so watch out for this over the coming weeks. Also please add your thoughts, comments and experiences in the “Comments” box here on the blog. My son is very emotional and sometimes talks to himself. 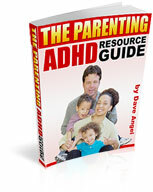 The situations that you are speaking of are common for children with Asperger’s. He becomes overwhelmed with changes, things he does not understand, and understanding the work around him. It can be very hard for a child with Asperger’s to grasp everything that they have to accept about the world and the people around them, but your son can improve in these areas. Here are a few things that you can do to approach your son’s emotional issues and his talking to himself. Minimize the distractions and changes your son encounters. Children with Asperger’s have a hard time handling change and distractions, and they may have frequent meltdowns as a result of this. Try to prepare your son for various situations before they happen. Allowing him to prepare in advanced can minimize the emotional breakdowns that he may have. Also, when it comes to him focusing on doing something, distractions may bring about the emotions that you see. When you want him to do something, make sure that he can focus on the task that you want him to do. Let your son participate in social skills groups. Social skills therapy offers your son a way to cope with the various situations that he will have to deal with on a daily basis. This form of therapy is very good at teaching children how to find replacement behaviors for his emotional meltdowns and talking to himself. Offering social skills therapy in a group setting will help your son see how others react to situations and help him to work through is feeling. He may feel more comfortable getting social skills training in a group setting because he will interact with other children his age. Keep your son occupied as much as possible. The talking to himself that your son does could be because he is not interacting enough with others. You should encourage your son to get involved in activities and find new friends that he feels comfortable talking to about whatever he wants. Make sure that you prepare your son in advanced so that he does not shut down or have a meltdown. Allow your son to participate in-group play. Group play is a great way for yours son to interact with others. He will learn many new and appropriate behaviors from his peers, and he will no longer have a need to talk to himself because of his new interactions. This is just a phase that your son is going through. He will likely stop talking to himself and being as emotional as he grows older.